For the 45th anniversary of the Apollo 17 lunar landing mission, NASA has published an amazing website: “Apollo 17 in Real-time. The Last Mission to the Moon – A real-time journey through the Apollo 17 mission”. You can see the events in real-time either joining at 1 minute to the launch or in-progress, 45 years ago to the second. On the website apollo17.org, you can access over 300 hours of audio, over 22 hours of video, over 4,200 photos and relive every moment as it occurred in 1972. 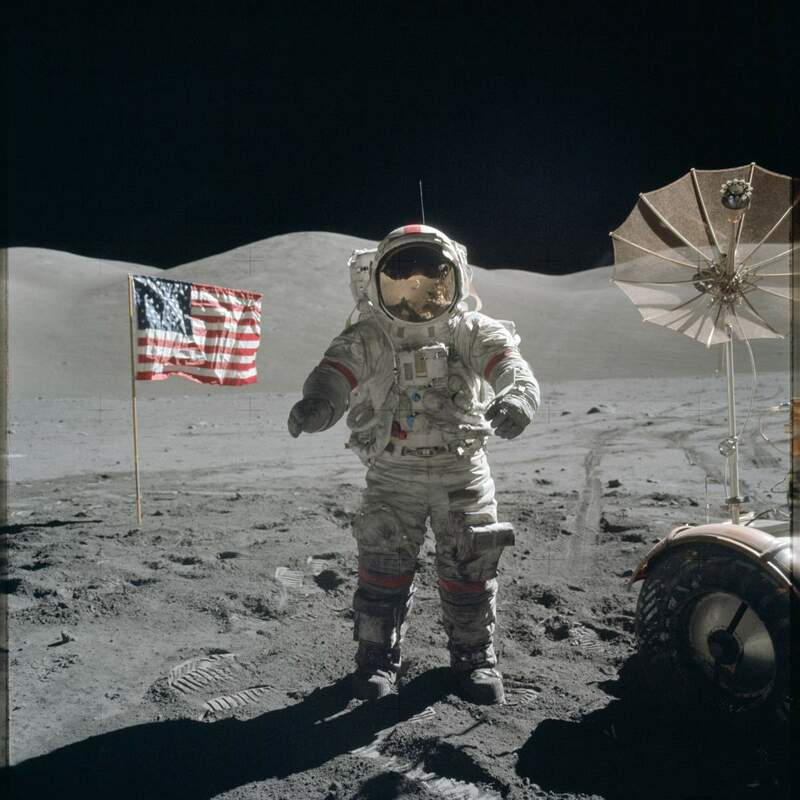 In the image, Schmitt is standing next to “Tracy’s rock”, a large boulder on the Moon named after Cernan’s daughter Tracy, who was nine years old at the time of the mission. It is known as Split Rock or the Station 6 Boulder in the scientific literature. Apollo 17 was the eleventh and the last manned space mission in the NASA Apollo programme. It was the first night launch of a U.S. human spaceflight and the sixth and final lunar landing mission. The mission was launched at 12:33 a.m. EST on 7 December 1972, and concluded on December 19. Apollo 17 is also last time humans traveled beyond low Earth orbit. The mission broke several records: the longest moon landing, longest total extravehicular activities (moonwalks), largest lunar sample, and longest time in lunar orbit. 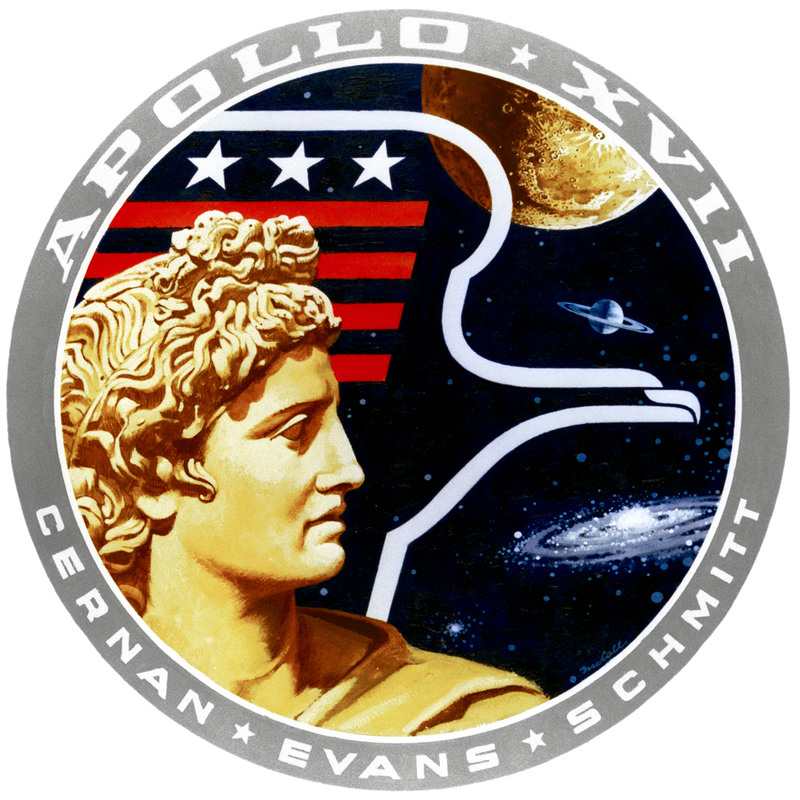 Apollo 17 was the eleventh manned space mission in the NASA Apollo programme. It was the first night launch of a U.S. human spaceflight and the sixth and final lunar landing mission. The mission was launched at 12:33 a.m. EST on 7 December 1972, and concluded on December 19. One of the last two men to set foot on the Moon was also the first scientist-astronaut, geologist Harrison (“Jack”) Schmitt. While Evans circled in America, Schmitt and Cernan collected a record 109 lb (49 kg) of rocks during three Moonwalks. The crew roamed for 34 km (21 mi) through the Taurus-Littrow valley in their rover, discovered orange-colored soil, and left the most comprehensive set of instruments in the ALSEP on the lunar surface. Their mission was the last in the Apollo lunar landing missions. The last 4 Apollo craft were used for the three Skylab missions and the ASTP, mission in 1975. 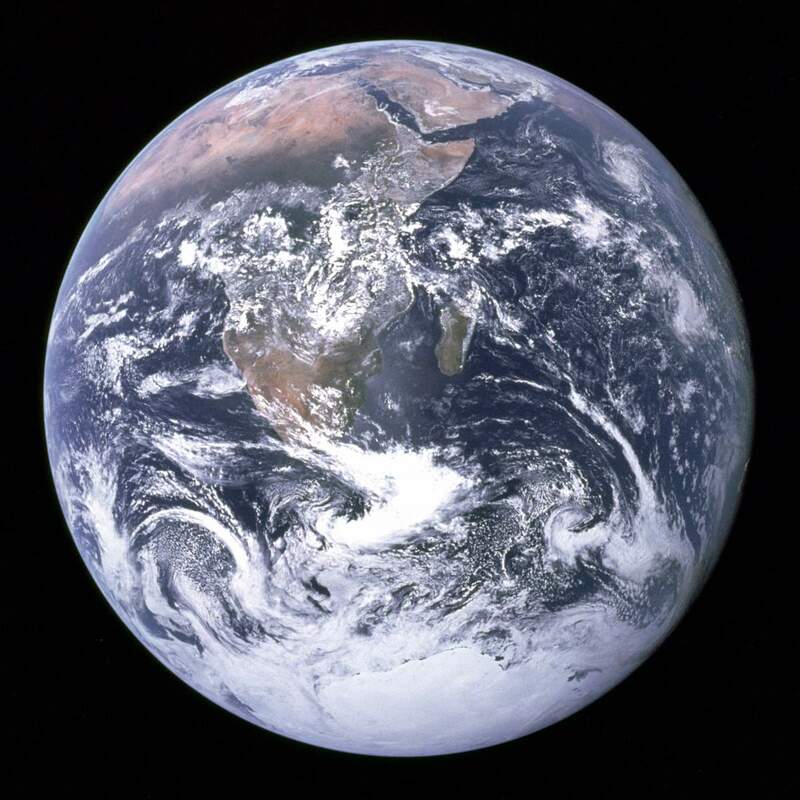 The Blue Marble – Earth as seen by Apollo 17 in 1972. NASA/Apollo 17 crew; taken by either Harrison Schmitt or Ron Evans. On December 7, 1972, the crew of Apollo 17 spacecraft took a photo of Earth from the space, at a distance about 45,000 kilometers (28,000 miles). This image, with the official NASA designation AS17-148-22727, became known as “The Blue Marble”. In fact, it was not the first clear image of Earth taken from the space – similar photos had already been taken as early as 1967. But, the 1970s were the scene of a big surge in environmental activism. For example, on April 22, 1970, the first “Earth Day” organized by Gaylord Nelson, former senator of Wisconsin, and Denis Hayes, Harvard graduate student. Millions of people gather in the United States for the event.